NASCAR Xfinity Series driver Chase Briscoe competed in Monday night’s first preliminary round for the Chili Bowl Nationals in Tulsa, Oklahoma. In the first of five qualifying nights for the annual event, Briscoe won his heat race and started third in the A-Main in the Boss Factory Racing No. 21B. 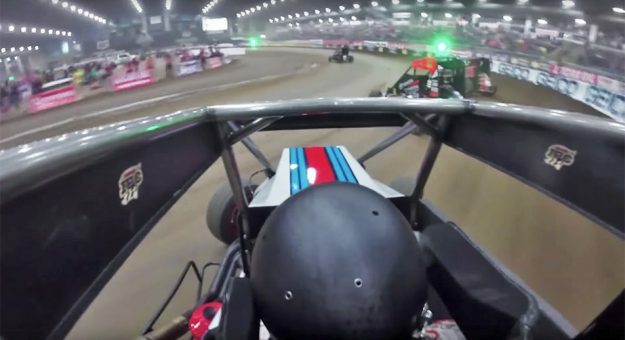 Thanks to a cool on-board camera above Briscoe’s cockpit, you can watch him wheel his dirt midget around the 1/5-mile indoor track. Briscoe finessed his way through some pretty hairy moments en route to a fifth-place finish, three position below the transfer spot to become automatically locked into the A-Feature event. Briscoe will get another shot to make it through to the marquee show with the B-Main on Saturday evening.